Thousands of people die every year in auto accidents. According to the National Safety Council, during the first six months of 2017 alone, 18,680 people died in auto accidents in the United States. Sadly, many of these accidents would never have occurred but for the negligent or reckless actions of a driver. These actions include speeding, driving under the influence or alcohol or drugs, improper lane changes, failure to abide by traffic rules and regulations, and driving while talking or working on a cell phone or other electronic device. Injury or the loss of a friend or loved one at the hands of a negligent driver can be devastating - physically, emotionally and financially. Innocent victims are often left with devastating injuries, including brain damage, spinal cord injuries, burns, and broken bones. Others, unfortunately, die as a result of their injuries. The financial chaos resulting from an accident can be devastating. Many victims find themselves financially crippled with the loss of wages and income along with tens of thousands of dollars in medical expenses. We have the experience to deal with the intricate and oftentimes confusing aspects of auto accidents, including dealing with lost wages, medical bills and insurance companies. 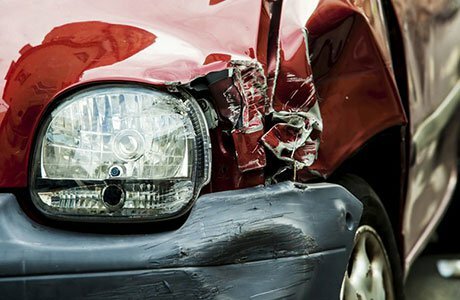 If you or someone you know has been injured in an auto accident in Kansas City or the surrounding area, Pospisil Swift can help. Please contact us by calling 816-203-0570 or by clicking on the link below.